Magical Urban Fantasy Reads: Giveaway of Quarantine: The Loners & The Saints! Giveaway of Quarantine: The Loners & The Saints! From June 24th - July 22nd, QUARANTINE: THE LONERS (book 1) is on sale for $1.99 as an ebook. McKinley High has been a battleground for the eighteen months since a virus outbreak led to a military quarantine of the school. When the doors finally open, Will and Lucy think their nightmare is finished. But they are gravely mistaken. As a new group of teens enters the school and gains popularity, Will and Lucy join new gangs. An epic party on the quad full of real food and drinks, where kids hook tip and actually interact with members of the other gangs, seems to signal a new, easier existence. Soon after, though, the world inside McKinley takes a startling turn for the worse, and Will and Lucy will have to fight harder than ever to survive. 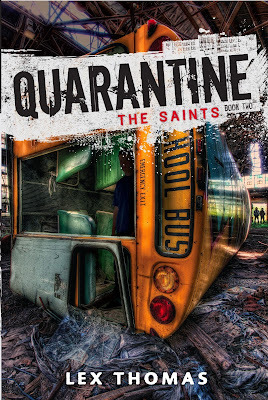 The Saints brings readers back into the dark and deadly halls of McKinley High and the Quarantine series. Lex received a BA in Drama and English from the University of Virginia and has worked as an actor, director and writer. Thomas graduated with a Bachelors of Fine Arts from the Rhode Island School of Design, and now writes, and exhibits his realist oil paintings in Los Angeles. Lex and Thomas met in a writers' group in Los Angeles. Their friendship developed as they tried to blow each other's minds with clips from bizarre movies. 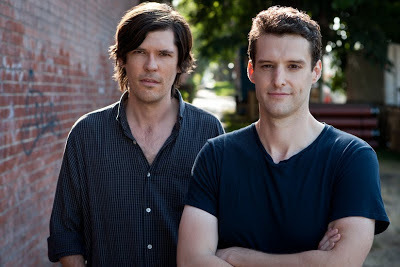 In 2005, they became a screenwriting team, and found that writing with a friend is much more fun than doing it alone. Visit them at www.lex-thomas.com. * The giveaway is one paperback copy of Quarantine: The Loners and one hardcover copy of Quarantine: The Saints. good giveaway! looks so good to me! !